Anne has practiced Vipassana meditation since 1973, in the Theravada, Forest Monk, and Tibetan traditions, with Western and Eastern teachers. 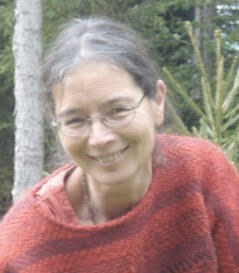 She has taught meditation since 2000, mainly in Switzerland and France. Meeting Gregory Kramer in 2004 brought an important deepening to Anne’s path and her way of teaching. Anne’s experience with her own children and grandchildren, and as a former Waldorf teacher in special-needs education has given her opportunity to apply the integration of meditation practice in daily life. Anne lives in Lausanne, Switzerland.